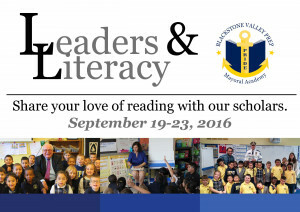 Last Fall we extended an invitation to friends and partners of BVP to join us in celebrating a love of books and literacy. Inspired by Read for the Record Day, we dedicated a week to hosting visitors who spent time with and read to our scholas. Visitors including friends from the Northern RI Chamber of Commerce, friends from Collette, Central Falls Police Chief James Mendonca, and State Representative Shelby Maldonado were welcomed by excited scholars. Not only was it an opportunity to read great books, but it was also a great way for our scholars connect with and have face-time with people they would normally not have the opportunity to meet. 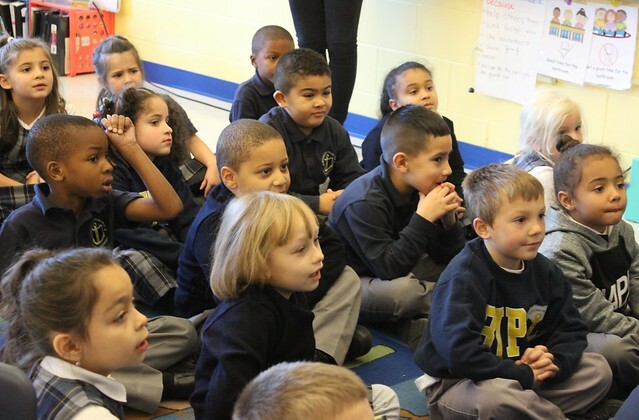 I watched as some scholars were hooked by hearing their home language spoken by Secretary of State Gorbea who read a bilingual book in English and Spanish. We felt the joy when John Gregory opted to pose criss-cross apple sauce with scholars on a rug when we took a group photo. We saw the inspiration when Central Falls Mayor and BVP Board Chair James Diossa shared a secret with scholars: Reading is exercise for our brains. Our first annual Leaders & Literacy week was a happy, successful one and so we’re doing it all over again. We invite you, to spend some time with our elementary scholars during our second annual Leaders & Literacy week, September 19th – 23rd. We can’t wait to introduce you to our scholars and share our love of reading with you. RSVP to read by filling out this form. You can choose to either bring in a favorite elementary level book or our teachers will have ready for you. The time commitment is about 25-30 minutes. Feel free to also reach out to me, Stephanie Gonzalez, with questions at sgonzalez@blackstonevalleyprep.org or via 401.649.1622. See below for a slideshow of photos from last year’s Leaders & Literacy week.